You are here: Home / creativity / Do Creative People Enjoy More Happiness? 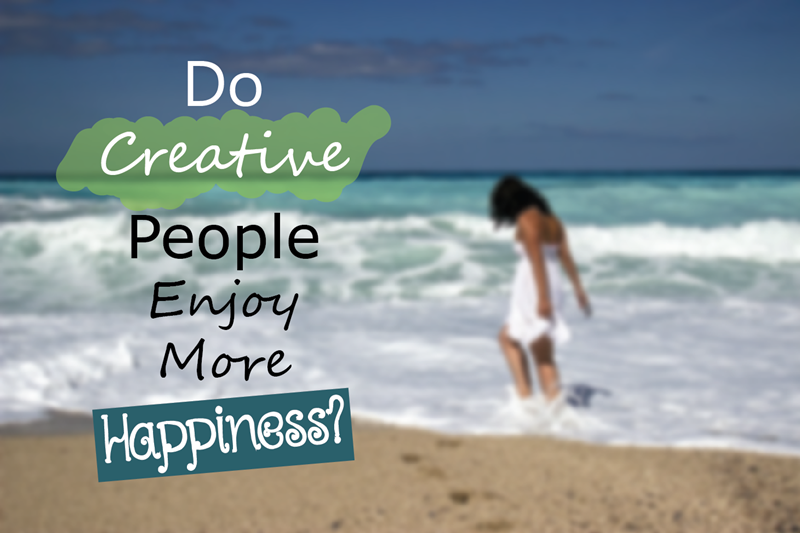 Do Creative People Enjoy More Happiness? The image of the tortured artist is well-known to a lot of people. There is a common perception or belief that in order for a person to be able to produce excellent art, it has to come from a dark place—the artist must be experiencing depression, frustration, anxiety, despair, or other negative emotions. It’s not surprising that such an impression would be prevalent, but there have been emerging research that point to the opposite—that expressing creativity through art can have a positive impact on people, particularly the level of happiness that they can experience. Creativity can be demonstrated in a variety of ways. The first thing that would come to mind, most likely, would be children and adults drawing pictures, singing, dancing, acting, or writing poetry. However, you are still exercising creativity when you prepare a meal, think up costumes made out of recycled materials for your kids on Halloween, or put together a business plan. Creative people possess personality traits such as determination and novelty-seeking, and these can help you experience greater satisfaction in life. Cathy Malchiodi’s article “Drawing on the Effort-Driven Rewards Circuit to Chase the Blues Away,” also published in Psychology Today, elaborated on an “effort-driven reward system” and how it is related to crafts and handiwork. If you repeatedly create art, you stimulate the brain’s “accumbens-striatal-cortical” connection, and this can effectively ease anxiety and depression. Psychologist Mihaly Csikszentmihalyi’s concept of “flow,” the sensation of being entirely absorbed and focused on a task, shares the same sentiment. When you’re deeply immersed in a creative task, such as an artistic endeavor, you are demonstrating focus and positive mindfulness—much like you would be while practicing yoga and meditation, or guided imagery. And as thousands of practitioners can attest, achieving this level of focus and concentration can yield positive benefits to your emotions and overall well-being—centered, calm and aware individuals experience more happiness in life. And as anyone who has ever danced the night away with a partner, or designed a fort made up of pillows and sheets for their toddler, or captured a random but meaningful image on camera, will tell you, expressing creativity through art and other means is always cause for joy. The act of making something or thinking something up helps you feel delighted at the discovery of new talents or skills, or takes you away (even momentarily) from problems or concerns, or simply reminds you that you can transform something negative into something pretty, or something beautiful into something that is even more so. Indulging in creativity can be stimulating, relaxing, and enjoyable—and that always makes people happy.